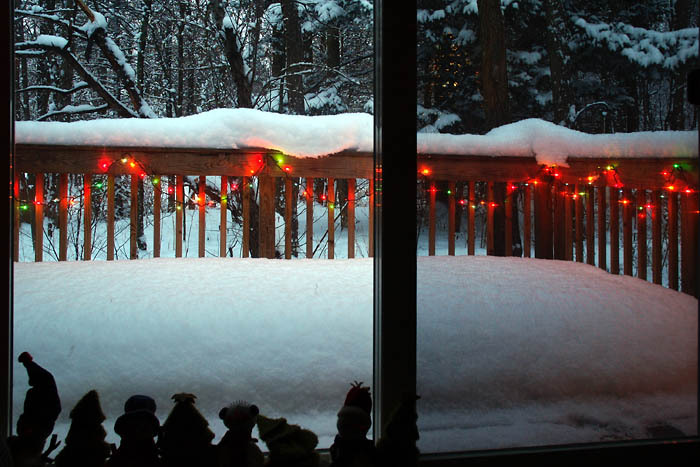 This is what the deck and trees beyond look like around dusk or dawn. I took numerous shots on different days trying to catch the little lights along the railing on the deck and still have enough light to see the snow and trees. Such as it is, this is the best I managed.